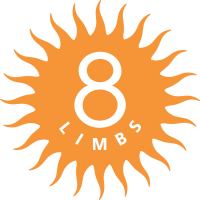 8 Limbs is pleased to publish Teacher Profiles to help you to know and learn from the amazing group of 8 Limbs Yoga Teachers. 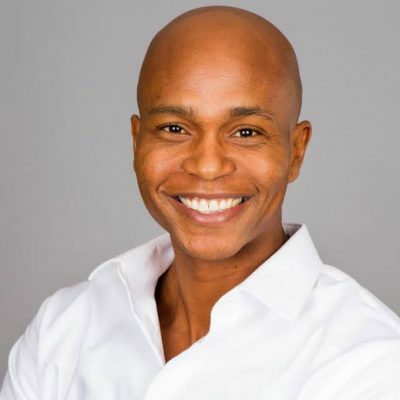 This month we profile Donte Quinine, who teaches at 8 Limbs Capitol Hill Mondays at 6:30am (and Fridays 5:45pm through January) and 8 Limbs West Seattle Tuesdays at 4:15pm. Donte will also teach the Capitol Hill Thanksgiving Day Benefit Class this year at 10am, with donations to Street Yoga. Tell us about the first yoga class you took. As an athlete I was used to maintaining a very rigorous training regimen, so when I went to a studio for the first time I thought a Level 1 class would be too easy for me. Therefore, I took a Level 2 Vinyasa class and 20 minutes in I thought I was going to die! Some of the poses felt absolutely torturous. I couldn’t maintain the fancy breathing techniques offered by the teacher without feeling like my lungs were going to explode. My mat was soaked in sweat, so my hands kept slipping in down dog and my feet kept slipping in standing poses. Somehow through all of the pain and discomfort I made to to savasana…and all became right in the world. What do you remember of the first yoga class you taught. Initially, I had no desire to teach at a yoga studio. Driven by a deep desire to use yoga as a vehicle for social change, I completed teacher training programs with Off the Mat Into the World, Street Yoga, and Yoga Behind Bars. The first class that I taught was with a group of teen boys in a chemical dependency treatment facility. As you might imagine, they were very reluctant to try yoga. I told them that we would do it as a strength competition instead. We did about 20 sun salutes, with a few rounds of crow mixed in and when they could no longer feel their arms we went into savasana….all became right in their world. Who/what are your teachers? Why? My best teachers are my attachments and my judgments. My attachments show me all of my egoic desires and my judgments show me the level of separation that still exist between myself and others. Currently inspired by: I’m currently inspired by my Muslim students. They pray five times daily and I am in awe of their devotion. They’ve inspired me to take more time to pray/meditate/reflect daily. And, they fast for a month for Ramadan…WOW! Tell us about a time in your life that yoga really supported/helped you. When I started practicing on a regular basis I was in the midst of a divorce. I went from practicing once a week to practicing daily. Yoga became my sanctuary. My body felt better than it ever had and I felt deeply connected in my life for the first time…mind, body and spirit. The practice became a great form of solace during the most challenging time in my life. What is your current yoga practice include/involve and why? Is there a practice you do daily? If so, explain why. I’m on my mat four days a week and and I spend time in prayer/meditation/reflection daily. I love the times when I can roll out my mat, take off my teacher hat, and just be a student. I don’t have a personal asana practice at home, because I’d rather spend time in community and allow someone else to hold space, allowing me the time to just be. The time I spend in prayer/meditation/reflection allows me to come into solidarity with my students and everyone who is suffering around the world. I practice a tonglen meditation which allows me to ‘feel with’ others who are not in my presence. Hobbies/interests: I’m an avid fly fisherman. I love getting lost in nature and taking my drift boat down the magnificent rivers throughout the northwest. One secret that helps you stay healthy: Daily smudging. I love the aroma of California white sage…a tremendous mood booster, clearing all of the negative energy in my field. Favorite recipe? Raw honey, lemon, turmeric, apple cider vinegar, and burdock made into tea. The ‘heal everything’ elixir! Donte will teach a special 90 minute class on Thanksgiving Day. The theme of his class will be “Living in the Space Between American Democracy and Indigenous Justice.” This is a benefit class to support Street Yoga.